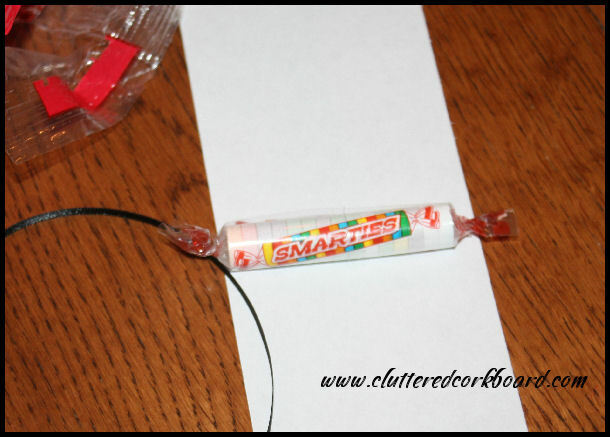 Smarties Diploma Decor accent for Graduation 2013.. 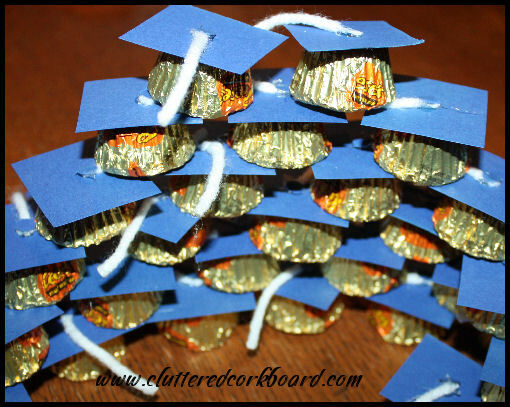 So I decided instead of just having them in a bowl, I would dress them up like a diploma. So I got some white copy paper, ribbon, scotch tape, scissors, and a black marker. 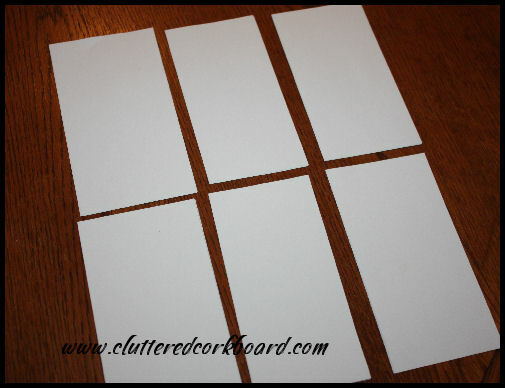 I cut the copy paper into thirds lengthwise, then I cut those strips in half. 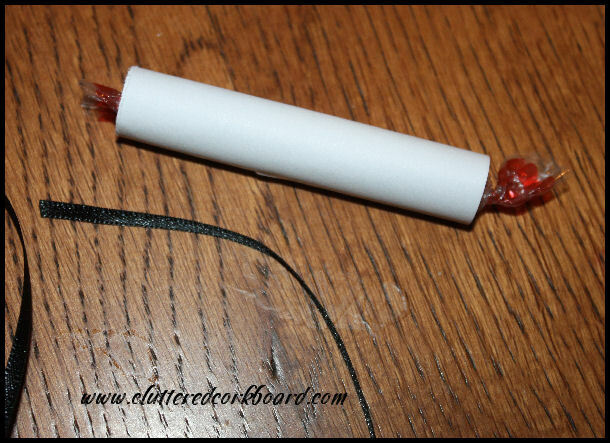 Then I placed a roll of candy onto one piece of paper.. 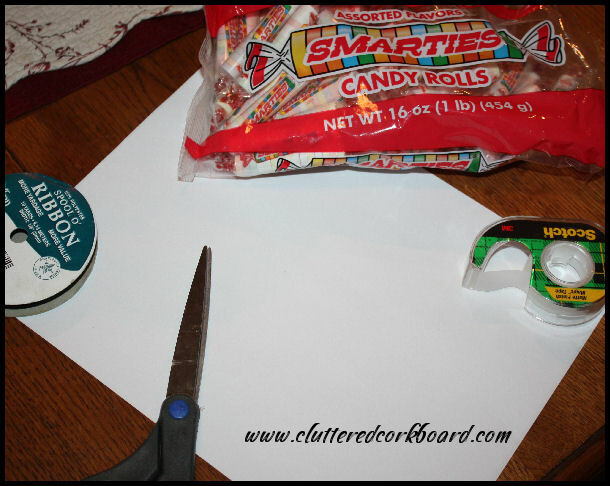 I rolled the paper around the candy. Added a small piece of tape to hold the paper in place, then added a bow. 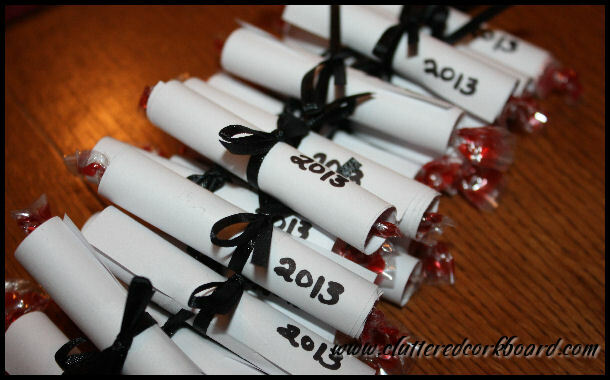 I also added '2013' on them with a black marker. 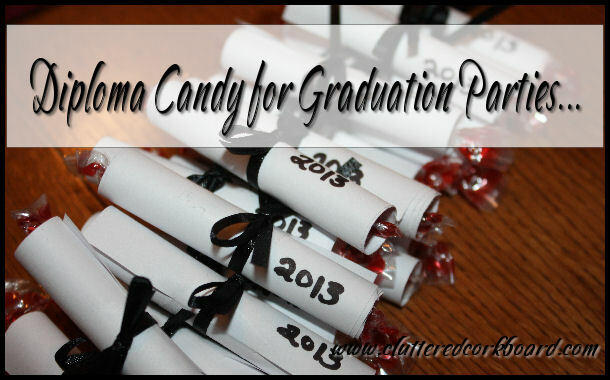 Very easy and low cost project.. and will add a nice touch to the graduation table decor.